YOU are OUR BEST form of Advertising! Below, we have posted promotional materials here for you. You can print as many as you would like. Please pass these out and hang them up in your break room at work, child’s school and church. You know the moms who would be interested in finding us. Spread the word… you are our best form of advertising! Click the link below to open the PDF. You will need Adobe Acrobat Reader to view the files listed below. If you do not have Adobe click here for the free download. 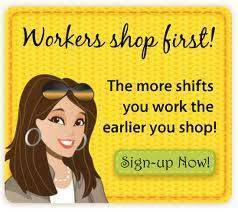 Think about promoting the sale: at work, school, church, civic clubs, dance, soccer, etc. The more people who come to the event means the better chance your items have to sell.